As the tennis season on the ATP and WTA Tours heats up in the professional ranks, the SPORTIME World Tour continued to makes its way through the top tournament destinations around the world. Click Here to see more photos from the Indian Wells installment of the SPORTIME World Tour. 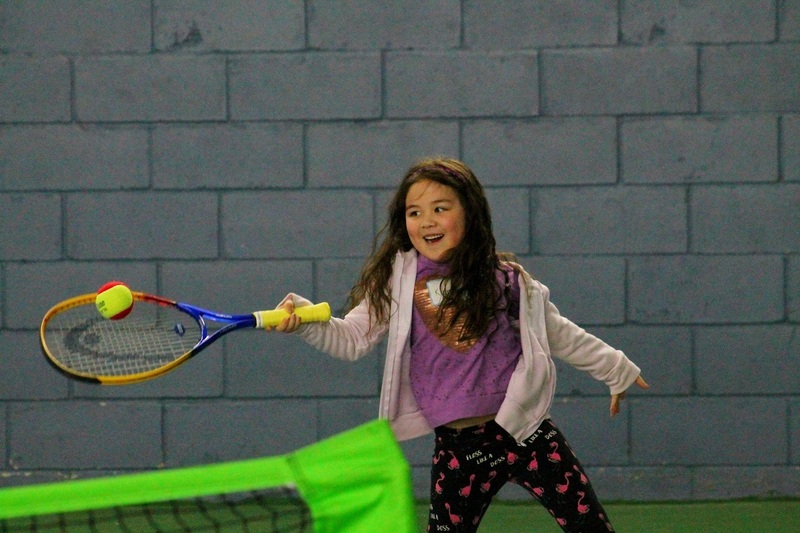 SPORTIME Syosset hosted the Indian Wells-themed event featuring players from all the various SPORTIME facilities on Long Island. It was the largest group to ever come out for a World Tour event and the courts were packed all-day long. 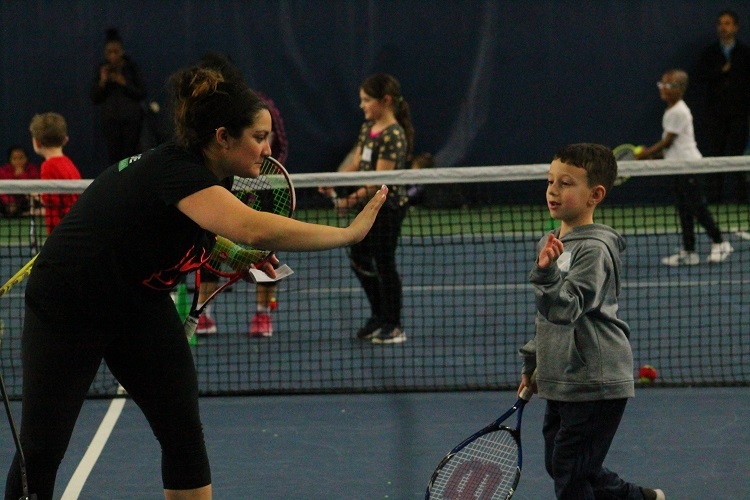 The players were scattered across both the hard courts and clay courts, as instructors helped to teach drills and also engaged the players in games such as King of the Court. 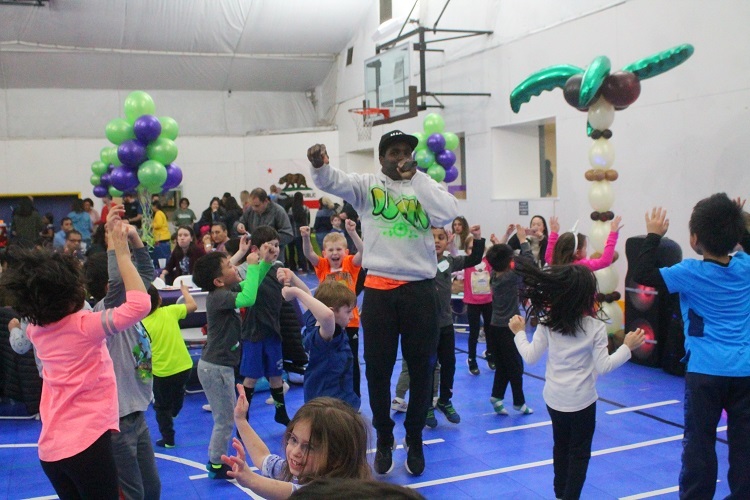 Inside the event’s party room, DJ CM entertained the crowd with music and games, including a dance contest and conga line, while food and drinks were served to the players and parents waiting to go out onto court. The party room also included multiple bouncy houses. The next stop on the World Tour will be on June 1 at SPORTIME Randall’s Island, the home of the John McEnroe Tennis Academy.